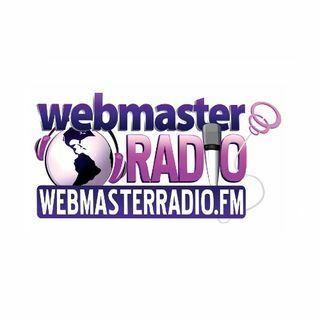 WebmasterRadio.FM is the largest online radio network dedicated to internet marketers & the B2B Marketplace. AffCon2010 is one of the largest trade shows and conferences for the affiliate marketing industry. It is an advanced event that covers some of the most up to date forms of marketing and technologies for successful website promotion. Being Business Intentional is more than just Digital Marketing, Strategies, and Sales Funnels; it is about how to scale and manage the growth of your business, increase revenues, and get more quality leads without sacrificing the things that are important to you in your personal life. Hosted by Digital media expert Shelby Larson who ... Más informaciones is known for her innovative marketing strategies and her ability to create unfair advantages for her clients in Google. Committed to high-quality, Business Intentional presents unique content that teaches you how to achieve the goals set out for your business. Whether you’re an entrepreneur, marketing agency, or just interested in following cutting-edge business trends, we will show you how to be business intentional in your industry. Everything you need to do business on the web. From funding to finance, setup to staffing, branding to biz-dev, co-hosts Gillian Muessig and Anne Kennedy have between them, more than 50 years of success in nurturing businesses to become global brands. Gillian co-founded Moz and serves on boards on four continents. Anne was a founding ... Más informaciones board member of Helium.com and guided numerous Internet start-ups, including Zillow. Together, and with occasional guest experts, they break down the art of small business from the ground up. We’re reserving a headline for you. Each week our hosts are joined with public relations powerhouses to share and discuss information which is vital and timely for you to maximize your public relations efforts. The best gavel-to-gavel legal news and information on the net. Host Bennet Kelley talks about the hot- button internet legal topics of the day ,and stay up to date on the latest in internet law and policy. Hear the latest net trends impacting your business, and have your questions answered by leading authorities. This is all about learning how to be the master of your domain....legal rights, domain name monetization, ask questions live from the pro's....all right here on Domain Masters! Shopping for the best ecommerce tips and tricks? Looking for better ways to push your product out of your online store? Well, watch your shopping cart overflow. Because you have found the Ecom Experts. The Ecom Experts will show you what you need to know to be a successful selling online. Learn their search marketing strategies, ... Más informaciones their web marketing wisdom and their calculated conversion measures. You are dedicated and devoted to a life of developing new ideas and innovations. Willing to take calculated career risks achieving independent wealth and success. Then you are ready to experience…The Entrepreneur Effect. The Entrepreneur Effect will highlight opportunities for entrepreneurs in digital marketing through interesting, ... Más informaciones practical and thought-provoking interviews and monologues on strategic topics such as product, positioning, pricing, packaging and promotion. No matter the economic outlook, increase your income and be your own boss by listening to the Entrepreneur Effect. Host Tim Barsness dishes on the latest developments within the advertising realm. Tune into the fjorgecast to receive insider tips and advice from experts within the advertising industry. Fjorgecast is your first stop in hearing about the unique opportunities and challenges advertisers face today. LifeTips.com President, Byron White interviews guests weekly discussing the hottest topics for both consumers and web-marketers that will make your life better, smarter and more fun. Special guests include best-selling authors and celebrities that will get you in-the-know with topics that matter. From green living to diet innovations to ... Más informaciones landing page optimization, Byron takes the show to another level with hard-hitting questions for guests that help you improve your work life and business life. Get breaking news and analysis of the latest developments in landing page conversion improvement; Hear insider tips from the most prominent experts in the industry; Learn multivariate testing best practices and how to improve your landing pages on Landing Page Optimization with your host Tim Ash. Business is changing, and new marketing avenues are opening up every day. WebmasterRadio.FM presents a show that brings you the innovators and trendsetters taking us to a new age of marketing, media and social business strategy. Get ready to hear perspectives on technology and integrated communications that will help you gain insight ... Más informaciones into the unique opportunities and challenges facing marketers and brands today. Discover the keys to success in your internet marketing, overcome the trials and tribulations of the past and let Marketing Nirvana revolutionalize your revenue stream and ROI. Mobile is not only the future, it is fast becoming the present. As consumers start to rely on their mobile devices from everything from shopping to searching to socializing, marketers, publishers and technologists need to know how to map out mobile strategies that will push and maximize this new frontier. In Mobile Power and Profit, ... Más informaciones thought leaders in the mobile industry share their experience and knowledge to help you make the best decisions. The future of the Internet is mobile. Mobile Presence examines all things mobile from devices to software, services and SEO. Mobile Presence discussed current topics regarding mobility in a world increasingly without wires. Next Gen Now with Rudina Seseri is your inside track to technology, innovation and the startup world. Rudina bridges listeners with the braintrust of the business world, speaking with early adopters and industry-leading innovators. Each week she gives you a backstage pass to the people designing, building and marketing the companies, ... Más informaciones products and services of the future. PPC 101 is the show that trains and teaches you the fundamental basics and news about paid digital marketing. Get informed, enlightened and inspired with our hosts who will give you all the beginners information you need. Listen for our weekly tips and learn from our expert marketers. PPC Rockstars is your ticket to the juiciest tips, tactics, and techniques on all-things PPC, straight from the industry's foremost paid marketing thought leaders. We're shaking the entire PPC tree, tackling both search and social landscapes, even retargeting and third party data audience modeling. Tune in weekly for killer ... Más informaciones interviews packed with online advertising best practices and trusted campaign optimization techniques that scream. That's all right here, on PPC Rockstars. Press This. The WordPress Community Podcast features exclusive content and interviews with leaders in the WordPress community…. covering everything from development to integrating your digital marketing strategy with WordPress. Host David Vogelpohl of WP Engine and special guest hosts from across the community keep you up to speed on the ... Más informaciones latest advancements in WordPress. Purse Strings, with Maria Reitan, of TopSail Strategies, is a program focused on marketing to women. Why Women, you ask? Women are the powerful majority in this country, comprising 51% of the population and they are in charge of 80% of all spending, and this number continues to grow. Therefore, as marketers, business owners and ... Más informaciones advertisers... we need to pay attention to her. Purse Strings will help you not only pay attention, but will also allow you to listen and react. We are Rocking the World with LinkedIn! One show at a time. Join your fearless leaders, The LinkedIn Rockstars, as they reveal insider LinkedIn secrets, chat with other LinkedIn gurus, and answer your most challenging LinkedIn questions. This is your chance to get massively inspired to use LinkedIn to Rock your own business world! Search Engine Marketing formulated for Web 2.0, Learn how SEO, PPC, branding, design and analytics are all parts of a much larger whole every week on SEM Synergy. Hosted by Bruce Clay, president and founder of the international SEO and SEM company Bruce Clay, Inc., SEM Synergy features industry experts discussing how the various fields ... Más informaciones of search engine marketing work together for a successful, multifaceted campaign. SEM Synergy will feature developing topics and industry news, answers to listener questions and our favorite experts and voices in search talking about what they know best. SEM Synergy offers SEM professionals of all levels a one-stop weekly digest for news, SEO tactics and trends, along with input from high-profile experts. Be sure to log on to SEMSynergy.com for show notes, event calendar, contact info and more. SEO 101 is Search Engine Optimization from the very beginning. SEO 101 will teach you SEO from Square one. Hosts Ross Dunn and John Carcutt give out helpful information for the beginners without overwhelming you with technical details. Join Daron Babin aka SEGuru and Chris Boggs with their special guests live every week and have your eyes opened to the wide variety of search engine optimization tactics available to you. Covering the spectrum from low to high risk methods of online marketing, this show is guaranteed to make your head spin and keep you thinking. Jammin' and Spammin' with the Princes of PageRank, the Heroes of HTML, the Sultans of Search. Join Daron Babin aka SEGuru live every week and have your eyes opened to the wide variety of search engine optimization tactics. Join Jeremy Schoemaker as he teaches you how to make money online with affiliate marketing and PPC with guest interviews. He will cover contextual advertising, affiliates, donations, subscriptions ,pay per click and more. Learn the skills to pay the bills so you can turn your site into a money making machine on the Shoemoney Show. The first European Show of its kind, addressing issues faced by European Webmasters regarding Search Engine Marketing and Optimization. Expect to be informed on the nuances of maximizing earnings revenue from a European perspective. Irreverent, cocky and experienced...don't let the Eurotrash fool you! These guys are true experts and ... Más informaciones a show to not be missed. The Joel Comm Show delivers a broad spectrum of topics ranging from website monetization and traffic generation to social media and web 2.0, mobile technology and other general business topics. Joel will welcome expert guests in the fields of social media, web and personal development niches, and in turn deliver an exciting program, yet ... Más informaciones be structured but dynamic. Webcology takes a deeper look at the ecosystem of the Internet as it affects webmasters and web marketers from the points of view of two well known web marketers, Jim Hedger and Dave Davies. Based on interviews with special high-profile guests or panels, Webcology introduces, explores and explains how the various segments of the web ... Más informaciones marketing world work.